The Whale Shark as a flag for the scientific and educational integration of the Americas and Caribbean for conservation. Make the whale shark a flag of the Civil Society Organizations for the promotion of the integration of the Caribbean and Latin American countries in scientific and educational matters for conservation. 1) Identify whale shark research and conservation priorities in the Caribbean and Latin America region. 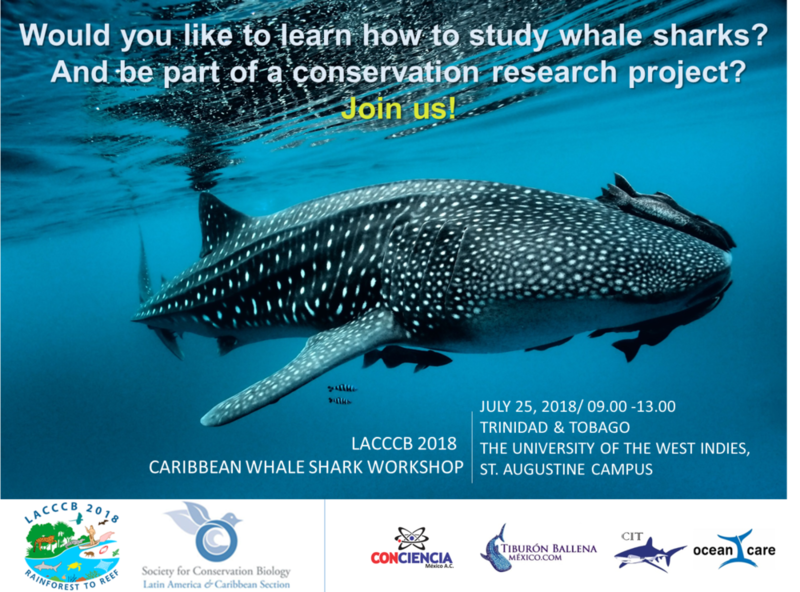 2) Identify the training needs of human personnel to carry out the research, conservation and educational campaigns related to the whale shark in the Caribbean and Latin America. 3) Consolidate a joint strategy to facilitate access to international cooperation agreements on education in the member states of international organizations: CELAC, ILPES, ALADI, G3, AEC, CARICOM and UN, considering that there are countries, mainly in the Antilles, that do not count on the offer of university careers or techniques for the training of researchers and teachers in the areas of marine ecology, fisheries ecology and conservation. 4) Combine the international training program for scientific-technical personnel in the area of biology, fishery and shark conservation carried out by the Venezuelan Shark Research Center since 2005.